If you find that the internet browser startpage, newtab page and search provider have replaced to Tapufind without your knowledge or permission then it could mean that your MAC system has been affected with a nasty undesired software from the browser hijacker category. Browser hijacker is small program that can modify your startpage and search provider, redirect you to web pages you never intended to open, collect search queries and personal info. In the blog post below you will find guide about how to restore internet browser settings to their original defaults and fully remove Tapufind virus from Mac. In order to force you to use Tapufind as often as possible this virus can modify your web browsers’ search engine. You may even find that your MAC OS’s web-browser settings are hijacked without your knowledge and conscious permission. The makers of this virus do so in order to make money via Google AdSense or another third-party ad network. Thus every your click on advertisements that placed on the Tapufind generates profit for them. Therefore it’s very important to free your machine of virus ASAP. Follow the steps below to remove Tapufind redirect virus, as well as other malware and adware, which can be installed onto your MAC OS along with it. There are several steps to uninstalling Tapufind redirect virus, because it installs itself so deeply into Mac. You need to remove all suspicious and unknown software, then remove malicious addons from the Chrome, Mozilla Firefox and Safari and other internet browsers you’ve installed. Finally, you need to reset your internet browser settings to get rid of any changes Tapufind browser virus has made, and then check your Apple Mac with MalwareBytes to ensure the virus is fully removed. It will take a while. Steps to delete Tapufind browser hijacker virus without any apps are presented below. Be sure to carry out the step-by-step instructions completely to fully remove this intrusive Tapufind redirect virus. First, go to the Finder and delete suspicious applications, all programs you don’t remember installing. It’s important to pay the most attention to applications you installed just before Tapufind browser hijacker virus appeared on your browser. If you do not know what a program does, look for the answer on the Internet. It will show a list of all software installed on the machine. Scroll through the all list, and delete dubious and unknown software. Pay maximum attention to the program you installed last. Drag the questionable program from the Applications folder to the Trash. If you have hijacker virus problem or the Chrome is running slow, then reset Google Chrome settings can help you. In the steps below we will show you a solution to reset your Google Chrome settings to default values without reinstall. This will also help to get rid of Tapufind from startpage, new tab and search provider by default. The Safari reset is great if your browser is hijacked or you have unwanted add-ons or toolbars on your browser, that installed by a malware. Run Safari web browser. 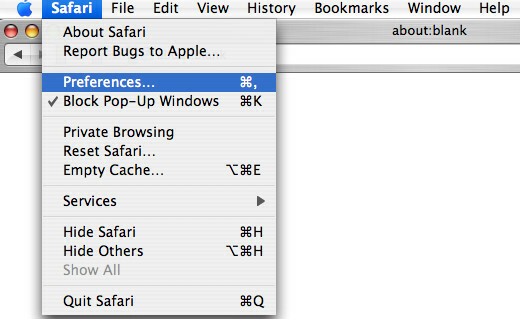 Next, select Preferences from the Safari menu. First, click the “Security” tab. Here, choose “Block pop-up windows”. It will stop some types of popups. Now, click the “Extensions” icon. Look for questionable add-ons on left panel, choose it, then click the “Uninstall” button. Most important to remove all suspicious plugins from Safari. Once complete, check your homepage and search engine settings. Click “General” icon. Make sure that the “Homepage” field contains the website you want or is empty. 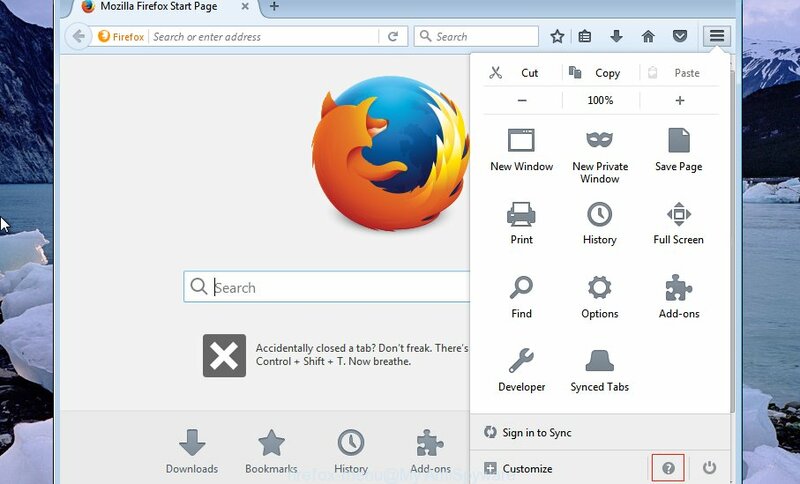 Resetting your Mozilla Firefox is first troubleshooting step for any issues with your browser program, including the redirect to Tapufind site. Essential information like bookmarks, browsing history, passwords, cookies, auto-fill data and personal dictionaries will not be removed. A small menu will appear, click the “Troubleshooting Information”. On this page, press “Refresh Firefox” button as on the image below. If you are not expert at machine technology, then we suggest to run free removal utilities listed below to remove Tapufind redirect virus for good. The automatic way is highly recommended. It has less steps and easier to implement than the manual solution. Moreover, it lower risk of system damage. So, the automatic Tapufind removal is a better option. We suggest using the MalwareBytes. You can download and install MalwareBytes Free to detect and remove Tapufind redirect virus from your MAC OS. 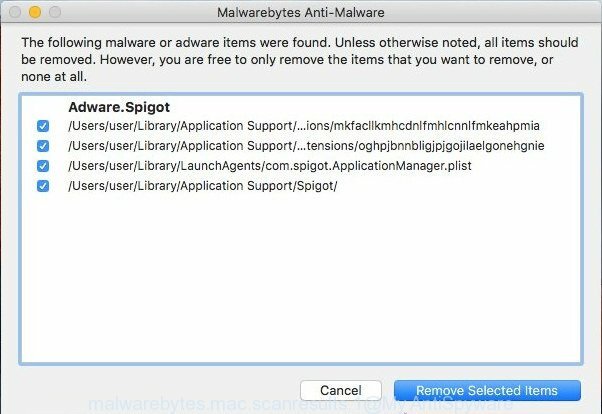 When installed and updated, this free malicious software remover automatically searches for and deletes all threats exist on the MAC OS. Installing the MalwareBytes Free is simple. First you will need to download MalwareBytes AntiMalware from the following link. After downloading is finished, close all windows on your Apple Mac. Further, open the saved file. Follow the prompts. The MalwareBytes Anti-Malware (MBAM) will automatically launch and you can see its main window as shown on the screen below. Next, press the “Scan Now” button to search for browser hijacker which cause a reroute to Tapufind web-site. While the MalwareBytes Anti-Malware (MBAM) is scanning, you may see number of objects it has identified either as being malware. Once MalwareBytes Anti-Malware completes the scan, MalwareBytes Anti-Malware (MBAM) will display a list of all threats found by the scan. Review the scan results and then click “Remove Selected Items” button. The MalwareBytes will remove browser hijacker that responsible for browser redirect to the unwanted Tapufind web-site and move threats to the program’s quarantine. It is important to run adblocker applications like AdGuard to protect your machine from harmful web sites. Most security experts says that it is okay to block ads. You should do so just to stay safe! And, of course, the AdGuard may to block Tapufind and other intrusive web sites. 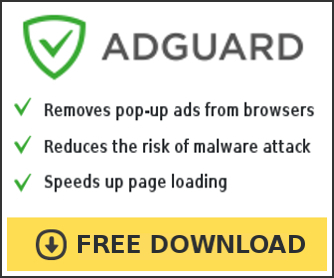 Download AdGuard on your Apple Mac by clicking on the following link. When the download is complete, start the downloaded file. You will see the “Setup Wizard” screen. Follow the prompts. Each time, when you start your MAC system, AdGuard will start automatically and stop unwanted ads, block Tapufind, as well as other harmful or misleading web-pages. Many browser viruses such as the Tapufind are included in the free applications installer. In most cases, a user have a chance to disable all included “offers”, but some installers are developed to confuse the average users, in order to trick them into installing an ad-supported software or PUPs. Anyway, easier to prevent the browser hijacker virus rather than clean up your MAC system after one. So, keep the browser updated (turn on automatic updates), run a good antivirus applications, double check a free applications before you open it (do a google search, scan a downloaded file with VirusTotal), avoid harmful and unknown webpages. Now your computer should be free of the hijacker which reroutes your web-browser to unwanted Tapufind web page. We suggest that you keep AdGuard (to help you block unwanted ads and intrusive harmful web sites) and MalwareBytes Anti Malware (MBAM) (to periodically scan your machine for new malicious software, hijackers and ad supported software). 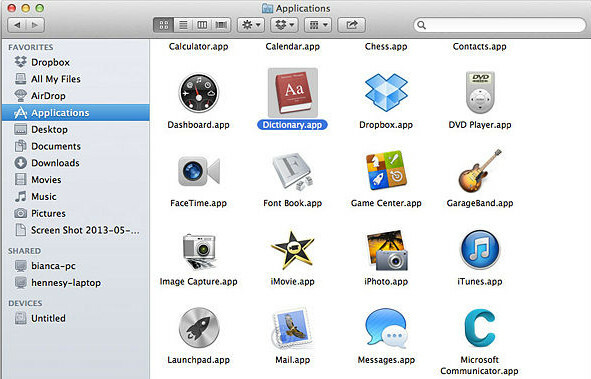 Make sure that you have all the Critical Updates recommended for Mac operating system. Without regular updates you WILL NOT be protected when new hijackers, malicious programs and adware are released. If you are still having problems while trying to delete Tapufind redirect virus from your browser, then ask for help here.